TCP® Allusion™ LED warm dimming technology has a unique dimming profile that replicates true incandescent/halogen dimming. The color temperature of this series of lamps starts out at a soft white color temperature, then dims down to a very warm amber color temperature. Allusion is available in A-Lamp, BR30, PAR38, PAR30, Deco and 5/6” retrofit down light. 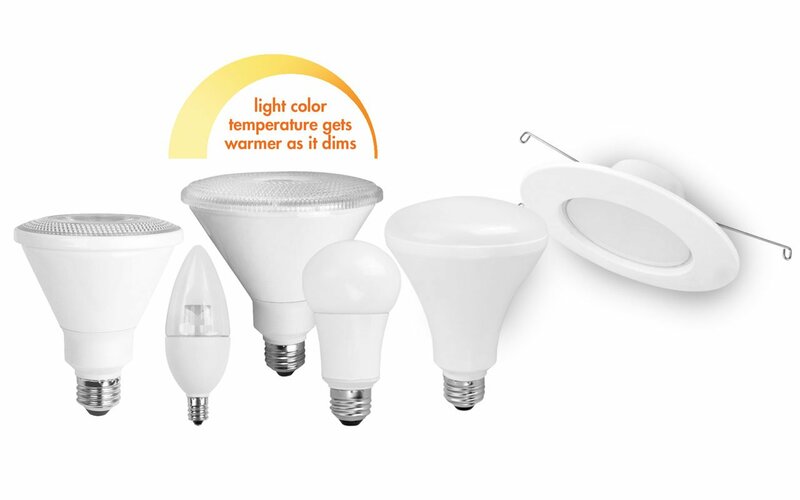 With all of these options, Allusion fits most home lighting dimmable applications. TCP has a strong history of producing high-quality, smooth-dimming LED lamps, and our Allusion line is no exception. It has an impressive dimming curve, along with the same great quality and color consistency TCP LED lamps are known for.